Hi do you have any yoga retreats from the 1st-4th Nov planned pls? 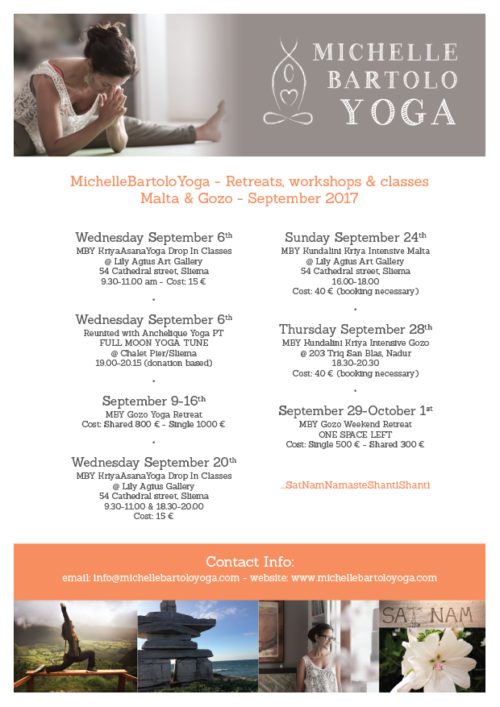 I don’t have any retreats planned for your dates but I will be in Malta for a week long retreat in October. Would be lovely to have you join!